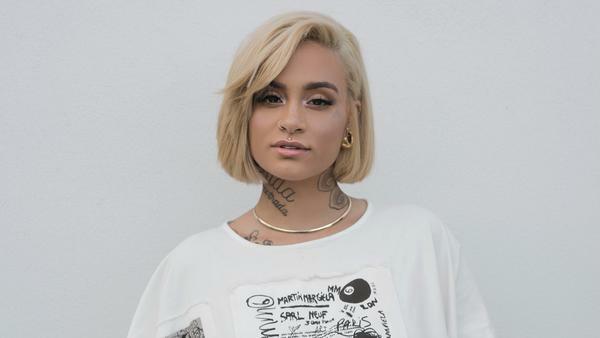 R&B singer Kehlani shines in this month's Heavy Rotation mix. Oshima Brothers are the epitome of DIY. Only in the last year or two has the duo added to its team to help with booking and marketing. They did the story of the video to "Ellie," which follows the story of the song, written for a new friend they met at a weekend of dancing. They created the video themselves. They produce it all. Guided by Voices, "Zeppelin Over China"
Robert Pollard began his band Guided by Voices in 1983. Along the way, there have been many personnel changes, a couple of break-ups and reboots, other projects, and a lengthy solo career. But Guided By Voices is Pollard's brand; well-established in the indie rock world, with a fan base that is willing to keep up with his prolific talent. The latest "double album" Zeppelin Over China contains 32 tracks, and it's the first of three planned full-length albums from GBV in 2019. LCG & the X, "Runaway"
Morgan Hartman, Pilar Guarddon Pueyo, and Caitlin Lindsey were constantly hanging out, but often only to watch their boyfriends' band play gigs. Although most of them were musicians in their own right, they still got some flak and "Oh, you're with the band?" attitude from others. That got real tiring, real fast. So, the women formed their own band. Self-described as "saucy, lo-fi lady rock," LCG & the X quickly got my attention in early 2017, with four impressive, concise demos. Big Wild feat. Rationale, "6's to 9's"
Dance DJ's great gift to music has been the drop. This categorical build that starts from almost nothing and gains momentum, then builds speed, takes you higher, then hits the eject button while you're at 20,000 feet and let's you feel that free fall. Jackson Stell, a.k.a. Big Wild takes you up that mountain in "6's to 9's." It makes sense for Stell. He has been a DJ opening for ODESZA on tour and he's been making beats since he was a teenager. He's a dance music DJ at heart, but the beauty of this track is that it's disguised as a gospel song. It only takes 25 seconds for the gentle, jazzy piano intro to morph into the track's main beat. It's the first of a few fluid transitions in the first single from Royal Canoe's latest album. If you feel a little warmer while listening, that's no accident. The band's vocalist, Matt Peters told me, "The song always felt like a summer-track (partly because of the name, but it also has a brightness to it) and even though we knew the album was probably only going to come out in January, it felt like 'RAYZ' deserved a little summer warmth on it so we released it in late August." "RAYZ" is a hook-laden plea for sun that should get the attention of mortals and modern sun gods alike. — Nick Brunner, CapRadio's Hey, Listen! With the release of a new song by Florence + The Machine, "Moderation," fans might be asking: "Didn't new Florence + the Machine just come out?" The answer is yes. High as Hope was released in 2018, but "Moderation" was introduced during the band's tour in January. Debuting a new series of songs out of album cycle could be a sign of something different. Florence's continually beloved star has a lot of cache. It wouldn't surprise me to hear something that embraced modern pop aesthetics or something purely EDM. Sean McConnell, "Here We Go"
It's remarkable how the smallest cue can set off a memory from long ago. Whether it's a landmark, a melody that returns out of nowhere, a simple smell or traveling a familiar road, we find ourselves trying to decide if those reminders are the universe's way of telling us something. "Here We Go," the latest video and song from Nashville's Sean McConnell, explores this phenomenon in a stylish, polished pop song with curiosity built in throughout. "Hearing ghosts telling me to read the signs," he sings. Josh Ritter, "Old Black Magic"
Our Native Daughters, "Black Myself"
It is perhaps no coincidence that all four members of Our Native Daughters —Rhiannon Giddens, Amythyst Kiah, Leyla McCalla, and Allison Russell — are banjo players. The all-star project for Smithsonian Folkways Recordings re-claims the banjo as a symbol of African-American identity, revitalizing the black string band tradition in the process. In the roots-rocker "Black Myself," Kiah sings defiantly: "I pick the banjo up, and they stare at me, 'cause I'm black myself / Look me in the eyes, but you don't see me, 'cause I'm black myself." Kehlani feat. Dom Kennedy, "Nunya"
Kehlani's been enjoying a hot streak of new releases lately, and the expecting mom's fast-approaching due date didn't stop her from filming a luxurious music video in the snow for "Nunya," her first dance-floor bop since 2017's "CRZY." This Spotify playlist is updated monthly.